The complete source code used in this series could be found from my github repository. 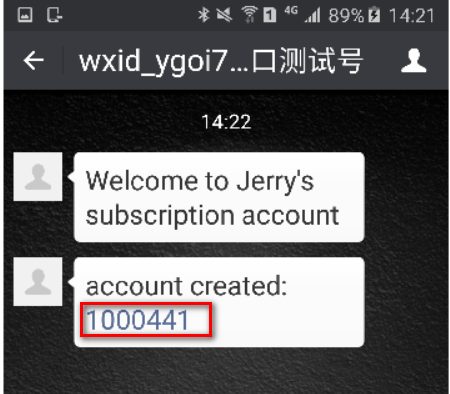 In previous blog when a Wechat user subscribes the subscription Wechat account, a new individual customer is automatically created in C4C system. So technically Wechat is the source(sender) of dataflow and our C4C system is the dataflow target ( receiver ), and the nodejs server acts as a middleware. 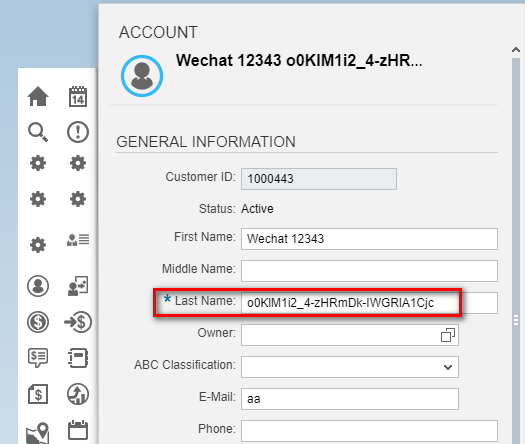 In this blog, let’s try the other way around: suppose any one has made changes on this automatically created account in C4C system, the corresponding Wechat user will receive a notification in his/her Wechat app. Such notification is sent by C4C and Wechat app is the receiver. and later in C4C, any user could change this field. As a result in this blog, I create a new extension field in common node of Customer BO to store the Wechat ID. And create a new BeforeSave.absl to copy the value of FamilyName into extension field WechatID. 2. 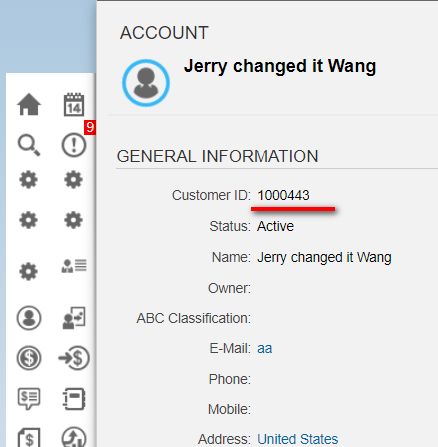 Create a new OData service to expose this WechatID, mark field ObjectID, ParentObjectID and WechatID. 3. 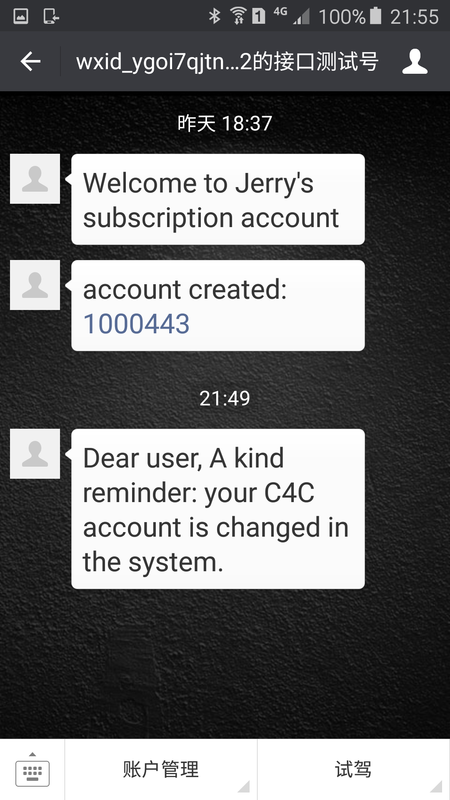 Once the account is changed in C4C, a notification should be sent from C4C to our nodejs server. This automatic notification mechanism could be achieved via C4C OData event notification. 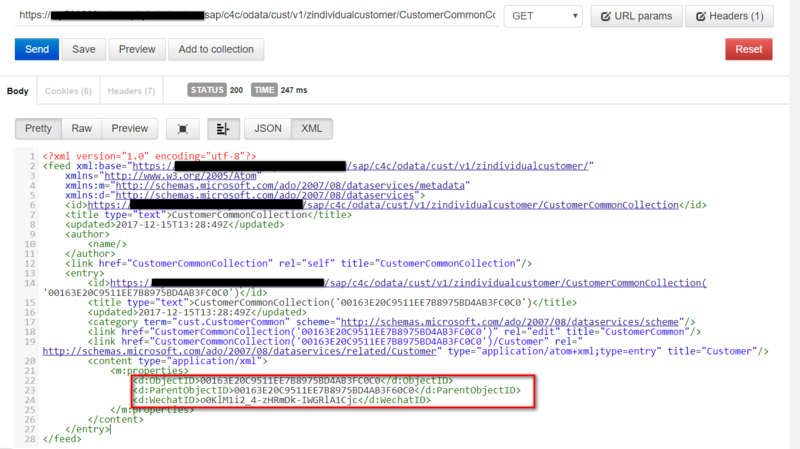 See another of my blog Leverage C4C Odata notification to monitor C4C Opportunity change in CRM system for detail. So far all development / configuration in C4C side is done. So in nodejs server, I have to react to this Post request. 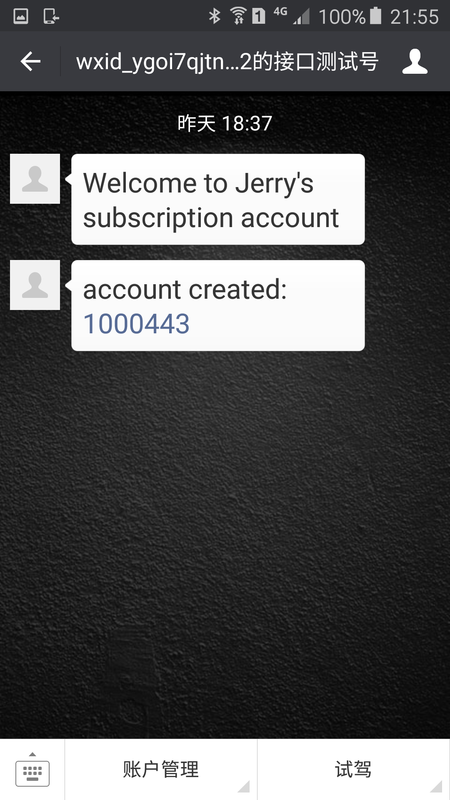 Main logic is implemented in module notifyWechatUser, which uses the guid of changed Customer BO instance as an input parameter. 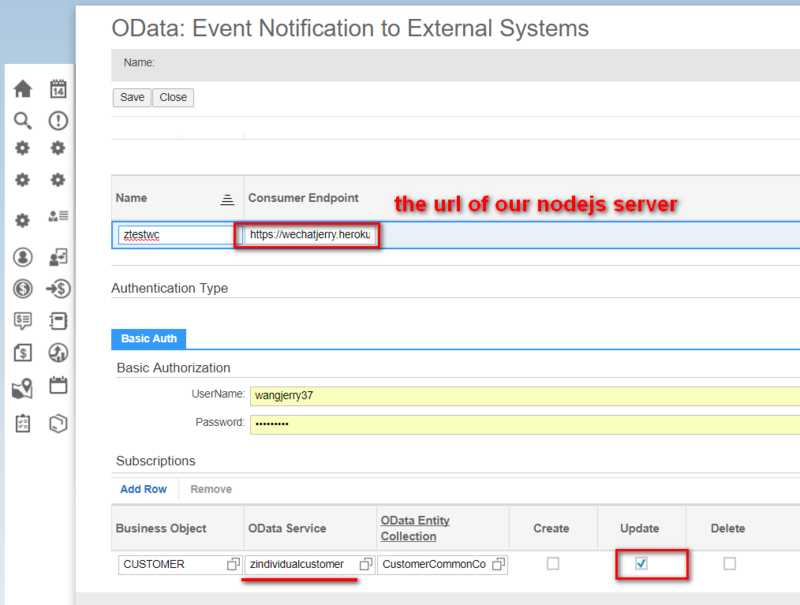 1. call _getAccount to get the WechatID stored on Common node of Customer BO via OData call. 2. Once WechatID is available, call sendMessage to send a hard coded sentence to the corresponding Wechat user. As soon as I subscribe the test Wechat account by scanning QRCode, a new account 1000443 is created in C4C system. Previous What has changed in the last 10-15 years in the Defense Industry and Ecosystem?